Apply to be a Mentor | TechX Foundry - A Center to Commercialize Tech Hardware Products from Concept to Market.. Thank you for your interest in Mentor roles at TechX Foundry. We are seeking the best, most talented dynamic group of people who are interested in supporting the success of others on a pro bono basis. 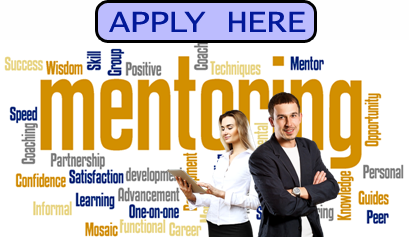 We are signing on Mentors who are experienced successful entrepreneurs, engineers, operations experts, or other experienced business people. Specifically, our mentors are closely involved in the broad supply chain of technology hardware, systems and software in areas such as Robotics, Advanced Manufacturing, Autonomous Vehicles, Internet of Things (IoT), Entertainment, Sensors, Vision Systems, Materials, Additive and Subtractive manufacturing among others. We seek to provide our members who are enthusiasts, startups, entrepreneurs, and new product development at established companies with impartial and unbiased advice in all facets of Design to Market from disciplines in Engineering, Business Strategy, Marketing, Finance, Materials Science, Physics, among others. All volunteers will be expected to to complete a mentor application.